Being modeled by my 3-yr old daughter. This hat should fit up to 10 years old! 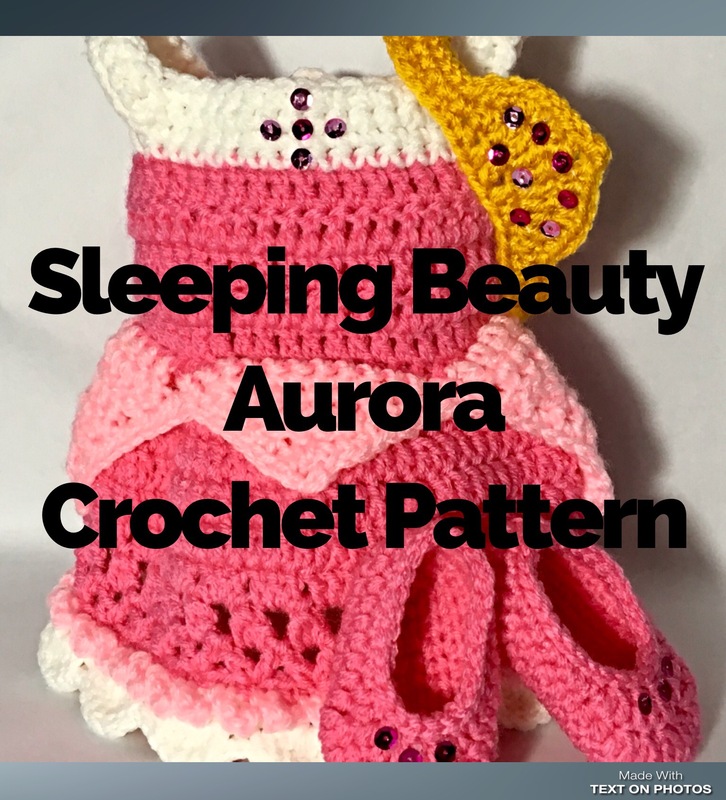 Also: I always take requests for making specific crochet patterns (offered for free, like this one, or at a highly discounted rate), so if there’s something you want, just contact me and I will see what I can do!! 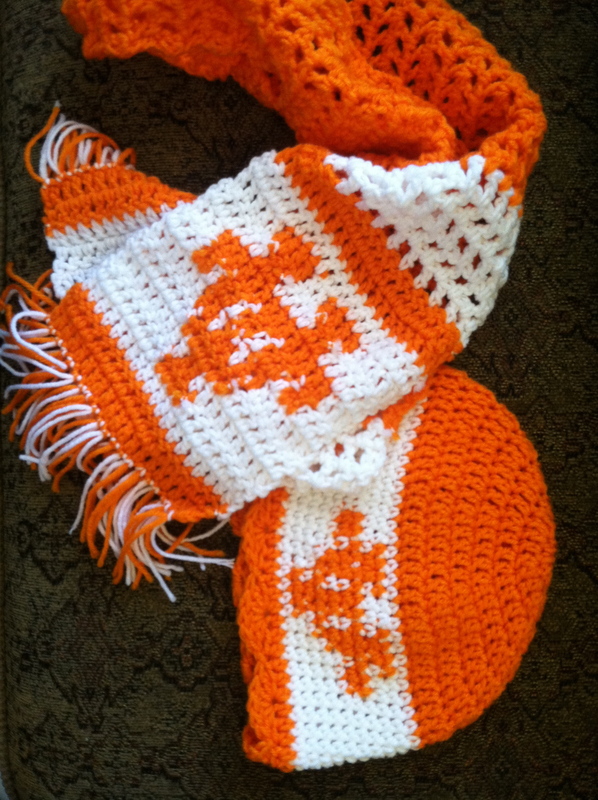 Hdc2tog – Half Double Crochet 2 Together – Yarn over hook, Insert hook into first designated stitch. Yarn over hook and pull through stitch. Yarn over hook and insert hook into second designated stitch. Yarn over hook and pull through stitch, Yarn over hook and pull through all 5 loops on hook. Dc2tog – Double Crochet 2 Together – Yarn over hook, insert hook into first designated stitch, Yarn over hook, and pull through stitch, yarn over hook and pull through two loops on hook (half of a double crochet stitch). Yarn over hook and insert hook into second designated stitch, yarn over hook and pull through stitch, yarn over hook and pull through two loops on hook, yarn over hook and pull through remaining loops on hook. 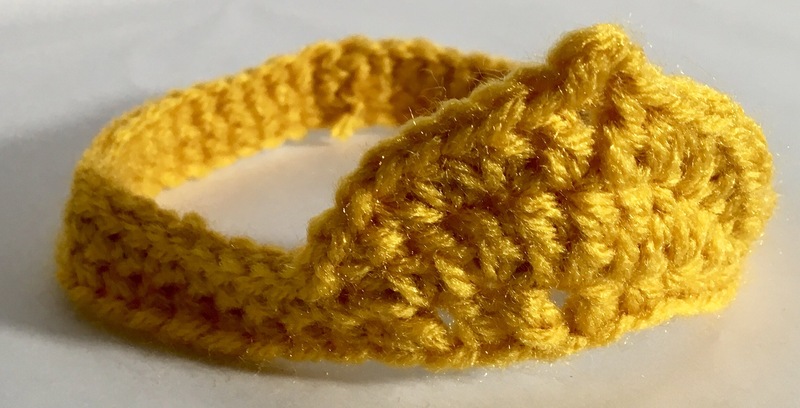 Sc2Tog – Single Crochet 2 Together – Insert hook into first available space. Yarn over, pull through. Insert hook into second available space. Yarn over, pull through. Yarn over and pull through all loops on hook (also called an invisible decrease). Gauge Swatch – This is used to determine if your tension and hook is going to create a similarly sized product at the end. 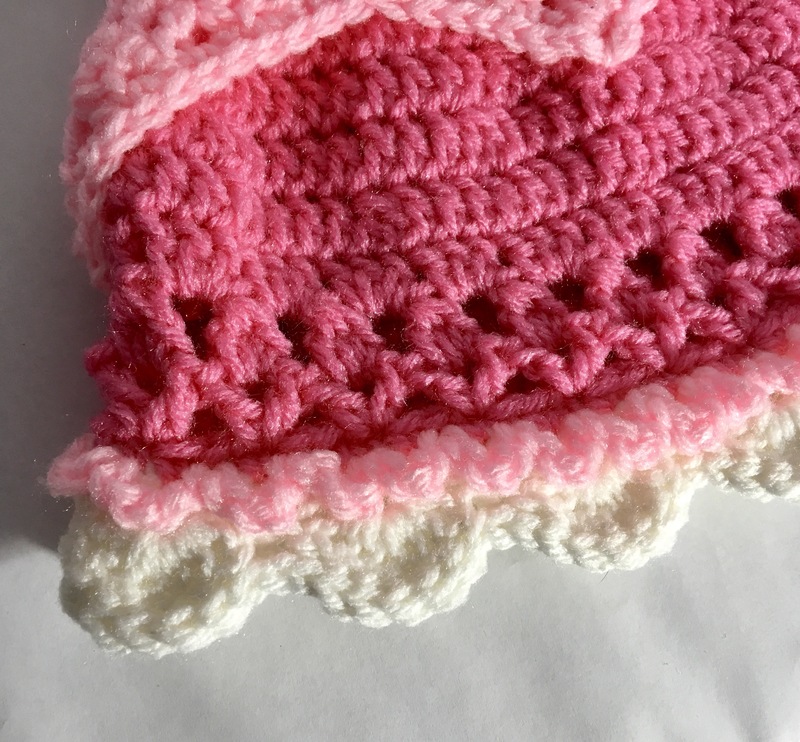 After completing this, if your swatch measures larger, you might want to choose a smaller hook and complete another gauge swatch. If your swatch measures smaller, choose a larger hook and try again. ROW 1: Sc in second ch from hook and all the way across (15) Ch 2, turn. ROW 2: Dc all the way across (15) Ch 1, turn. This is what you should get after all of the increase RNDs…It’s a very nice striped effect, no? RND 2: Ch 2 (does NOT count as dc here or throughout) and turn: Inc, dc CCB Inc, dc, CCP inc, dc, CCB inc, CCP dc, CCB inc, dc, CCP, inc, dc CCB dc, CCP inc, CCB inc, dc (24) Ss to first to join. RND 3: Ch 2, and turn: Inc, dc 2 CCP Inc, dc 1, CCB dc 1, CCP inc, dc 2, CCB inc, dc 2, CCP inc, CCB dc 2, CCP inc, dc 2, CCB inc, dc 2, CCP inc, dc 2 (32) Ss to first to join. RND 4: Ch 2 and turn, Inc, dc 3 CCB Inc, dc 3, CCP inc, dc 3, CCB inc, dc 1, CCP dc 2, CCB inc, dc 3, CCP inc, dc 3, CCB inc, CCP dc 3, CCB inc, dc 3. (40) Ss to first to join. RND 5: (Last increasing round) Ch 2 and turn, Inc, dc 4 CCP Inc, dc 2, CCB dc 2, CCP inc, dc 4, CCB inc, dc 4, CCP inc, dc 1, CCB dc 3, CCP inc, dc 4, CCB inc, dc 4, CCP inc, dc 4 (48) Ss to first to join. RND 6: Ch 2 and turn, dc 6 CCB dc 6, CCP dc 6, CCB dc 3, CCP dc 3, CCB dc 6, CCP dc 6, CCB dc 2, CCP dc 4, CCB dc 6 (48). Ss to first to join. This is without the attachment of the pigtails or eyes. Congratulations! You made it through all of the color changes!! RND 7: Ch 2 and turn, dc 6 CCP dc 4, CCB dc 2, CCP dc 6, CCB dc 6, CCP dc 3, CCB dc 3, CCP dc 6, CCB dc 6, CCBP dc 6 (48). Ss to first to join. RND 8: Ch 2 and turn, dc 6 CCB dc 6, CCP dc 5, CCT dc 16, CCP dc 3, CCB dc 2, CCP dc 4, CCB dc 6 (48). Ss to first to join. RND 9: Ch 2 and turn, dc 6, CCP dc 4, CCB dc 2, CCP dc 3, CCT, dc 16, CCP dc 5, CCB dc 6, CCP dc 6 (48), ss to first to join. I just LOVE the little curlies at the bottom of the pig-tails…cute!! ROW 1: Ch 41. Ss in second ch from hook, sc 1, work 2 sc in the next, hdc 2, hdc2tog twice, dc 5, work 2 dc in the next, dc 2, work 2 dc in the next, dc 2, dc2tog, dc 11, dc2tog, dc 1, dc2tog twice (37), color change to black, ch 1 and turn. ROW 2: Sc 2, sc2tog, sc 2, sc2tog, sc 10, work 2 sc in the next, sc 3, work 2 sc in the next, sc 5, sc2tog, sc 2, (31), turn and ss 31 all the way back up, color change to pink, ch 1 and turn. ROW 3: Sc 1, sc2tog, sc 3, sc2tog, sc14, work 2 sc in the next, sc 5, sc2tog (28), turn and ss 28 all the way back up, color change to black, ch 2 and turn. ROW 4: Dc 2, dc2tog, dc 15, work 2 dc in the next, dc 2, work 2 hdc in the next, hdc 4, hdc2tog, sc 2, work 2 sc in the next, sc 1 (34), turn and ss 34 all the way back up, color change to pink, ch 1 and turn. ROW 5: Sc 2, sc2tog, sc 1, sc2tog, sc 16, work 2 sc in the next, sc 1, ch 5, ss in second ch from hook, sc2tog twice, sc 3, work 2 sc in the next, sc 14, sc2tog twice, sc 1, ch 1 and work 7 sc stitches across the top of this. Finish off. I could not figure out how to make them look not angry, but I do love the heave eye-liner and thick lashes. Definitely adds to the teen-angst look! 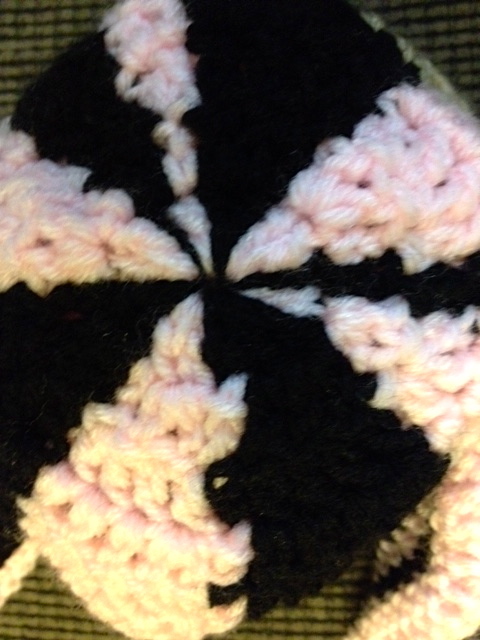 RND 1: Ch 2. work 8 sc stitches (8) color change to purple, ss to first to join, ch 1 and turn. ROW 2: Work 2 sc stitches in each of the next 6 stitches (12), color change to white, ch 1 and turn. ROW 3: Skip the first stitch, sc 1, work 2 sc in the next, sc 2, work 2 sc in the next, hdc 2, work 2 dc in the next, dc 1 (12), ch 2 and turn. 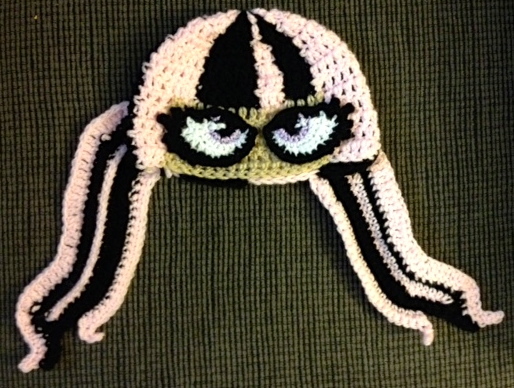 And there she is finished, with the pigtails and eyes attached. 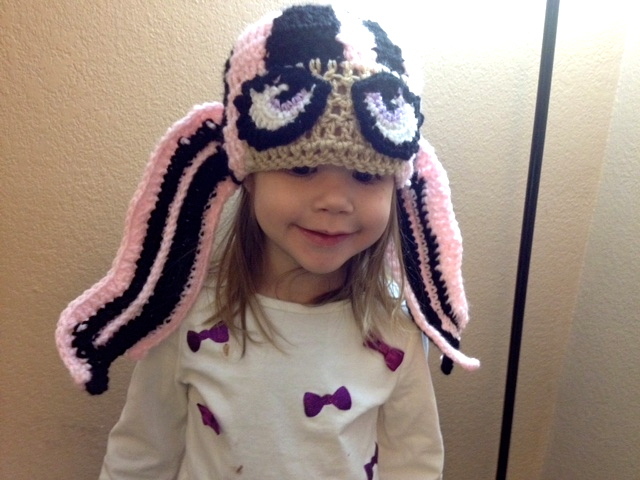 Perfect for any little girl in love with Monster High!! second ch, sc 1, ch 2, ss in first ch from hook, ss into second ch, sc 1, Ch 3, ss in first ch from hook, ss into the second ch, ss into the third ch, sc 1, ch 2, ss in first ch from hook, ss into the second ch, sc 1, ch 1, ss into the first ch from hook, sc 3, work 2 sc into the next, sc 2, work 2 sc into the next, sc 1, ch 1, ss into the first ch from hook, sc 4, ss to first to join and finish off. 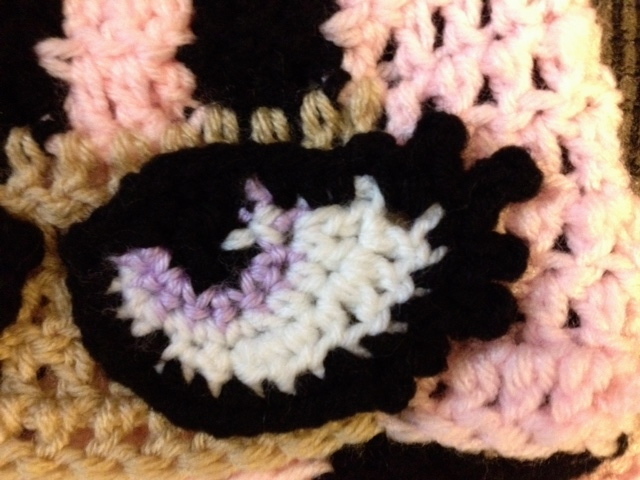 Take some white yarn and stitch in a little bit of a “sparkle” in the center of the eye, making sure that it is the same for both eyes. And voila! Attach the eyes to the tan part of the hat, and attach the pig tails to the back of the hat (making sure that they point outwards and curl in the right direction). And it is finished!! Need to find something specific on the blog? Wanna get Family Bugs' straight in your inbox? You know you want to! So go ahead and enter your email address. Then you'll get new Posts straight to your inbox! What’s been going on recently? 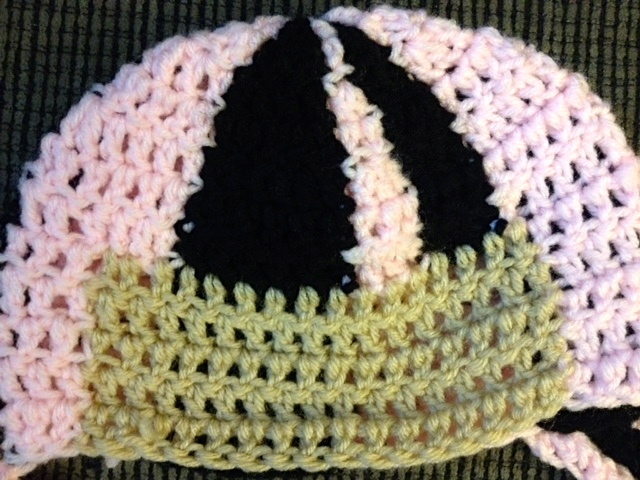 Basic Beanie Free Crochet Pattern 2.0!